Welcome to Waveline Cruisers. 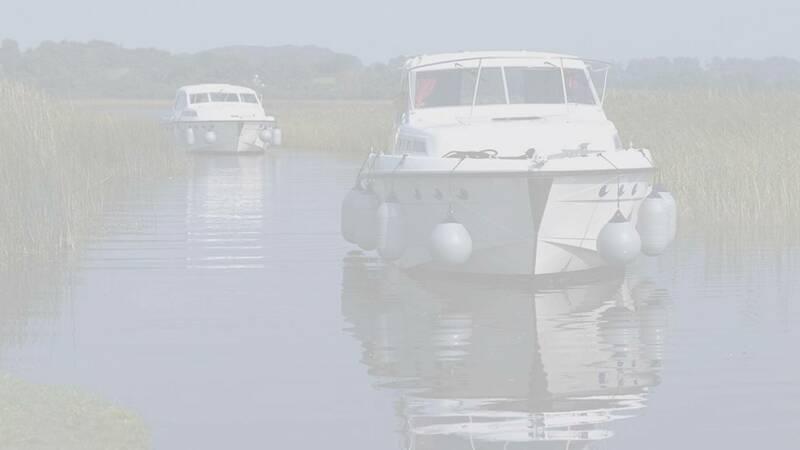 Operating along 300 miles of silvery waterway, we have provided cruising holidays for over 20 years. No licence is required to cruise the rivers of Ireland, so anyone over the age of 21 can take command of one of our cruisers. Cruising along the majestic waters of the Shannon and the Erne as they slowly meander their way through Ireland's rich countryside is an ideal way to sample the laid back way of life which is synonymous with rural Ireland. Think of it as your holiday cottage on the water - but it moves every day! In 2015, we merged with Carrick Craft and you will see the Cruise Ireland brand much more. 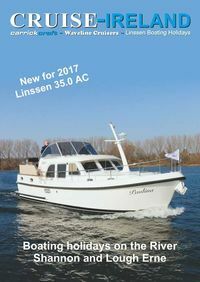 It also brings several extra types of boats to the fleet and the combined expertise will enhance your holiday enjoyment. Our smallest cruiser, the Carlow, suits two people ideally and our largest is for twelve people, with other sizes in between. Start from one of three marinas, two on the mighty Shannon and one on the peaceful Erne. Or try one of our specialities, a one-way hire from one marina to another. To visit our main site, click on the button above. If you have already booked and want to plan your holiday, click on Holiday Planner above. If you would like to see our 2017 brochure, click on the picture below.